​Making her a slave to the arena was their first mistake. Underestimating her will be their last. Aliens abducted and sold her into the Intergalactic Gladiatorial Syndicate. 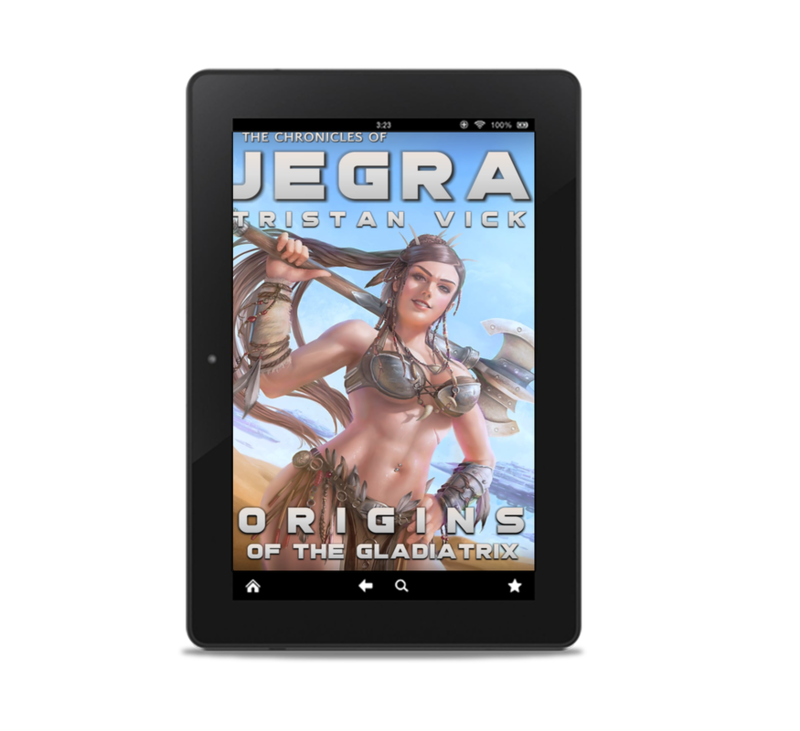 Now, fighting for her life on an alien world, she is reborn as JEGRA, Gladiatrix of the Galaxy! When the ruthless Lord Emperor Rhadamanthus Dakroth falls for the gladiatrix Jegra Alakandra, he decides to make her his new Empress. But, after his ship is ambushed and destroyed, he is marooned on a desert moon with vicious assassins hot on his trail. Now, he has no choice but to turn to his bride-to-be for survival. Jegra must tread carefully, however, because the Emperor is not all that he seems. And their marriage may simply be a means to an end in his Machiavellian scheming to gain galactic dominance once and for all. Coming for her friends to hurt her wasn't very smart. Now she's out for payback. ​Jegra Alakandra was adapting to her new life as ruler of a galactic empire when her husband, Emperor Dakroth, suddenly went missing. She mounts a daring rescue mission to save him, but discovers too late she’s walked into a deadly trap. Marooned on a hostile planet full of monsters as big as dinosaurs, she must find a way to survive long enough to escape alive and in one piece. Meanwhile, the blood-thirsty assassin, Ishtar Bantu, wants revenge on Jegra and is out to destroy everything and everyone she holds dear. The sands of time are running thin and Jegra must do the impossible if she hopes warn her friends before it’s too late. An unstoppable evil has returned. It seeks only to destroy. The war she feared has finally come. The invasion has begun. 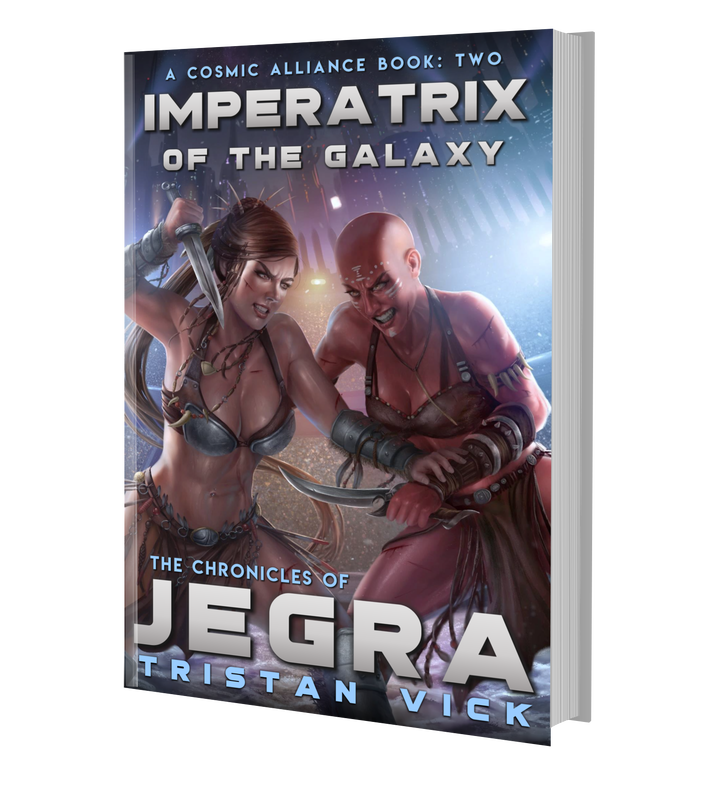 Enemies from another galaxy threaten to topple the Commonwealth and destroy everything Jegra has worked hard to achieve—including galactic peace. While the Gilded Master’s minions wreak havoc on unsuspecting systems, Jegra and her allies prepare themselves to face his armada head on. 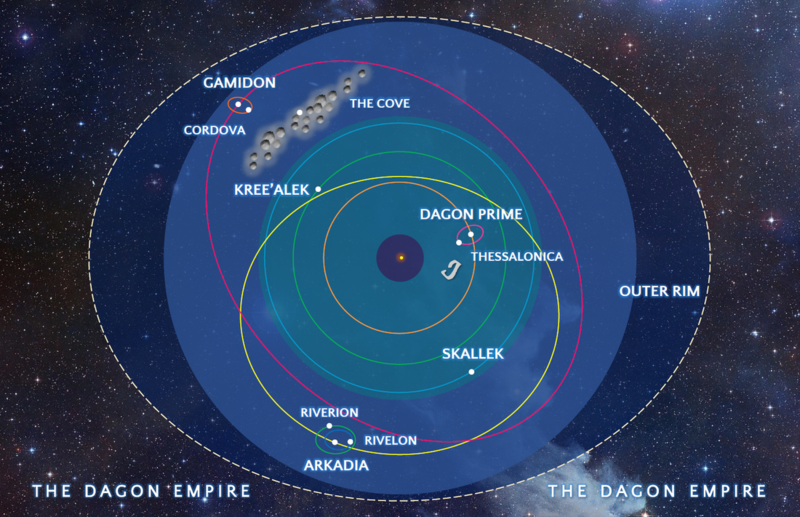 If that weren’t trouble enough, however, the satyr homeworld Galliforn has been destroyed and the Dagon Imperial fleet is losing its hold on the margins of the Empire. At the same time, Jegra discovers she is with child and that the Gilded Master seeks her unborn baby for his vessel. Against impossible odds, she must face an overwhelming force, stop an invasion, and prevent an ancient evil from not only taking her child but taking over the whole galaxy too. A criminal satyr, a cybernetically enhanced bounty hunter, and a lost planet, oh my! Before she was known as the Last Peacekeeper in the galaxy, Raven Nightguard was just trying to scrape as a bounty hunter taking down low-life criminals. In her pursuit of the nefarious arms dealer Grendok, a satyr from the planet Galliforn, she soon realizes she may have gotten in over her head when it seems that every bounty hunter in the system is after him. Evading a ruthless Dragonian bounty hunter who’ll stop at nothing to apprehend the satyr, they make a jump to hyperspace where they unexpectedly intercept a long lost artifact that proves to be the find of a century. Unable to resist their curiosity, they decide to investigate the mysterious appearing ring world. But upon discovering the artifact's origin, Raven realizes that she and her crew may have just made a terrible mistake and inadvertently unleashed Pandora's box of horrors. In this exciting Science Fiction prequel to the upcoming Skywend series (a spin-off of the action packed Jegra: Gladiatrix of the Galaxy books), Raven Nightguard and her crew of eccentric misfit aliens come together for their first exciting mission. Sign up to my newsletter and get this prequel novella free! Abducted by aliens. Made a slave to the Galactic Gladiatorial Syndicate. Injected with a serum that gave her She-Hulk like strength. Jessica Hemsworth's life just got a whole lot more interesting. Contains some scenes of brutality. Brace yourself for the grindhouse-esque space epic with gladiators and aliens set in a part of the galaxy far, far away.